The weather is beginning to warm up, and the kids are itching to get outdoors a little bit. 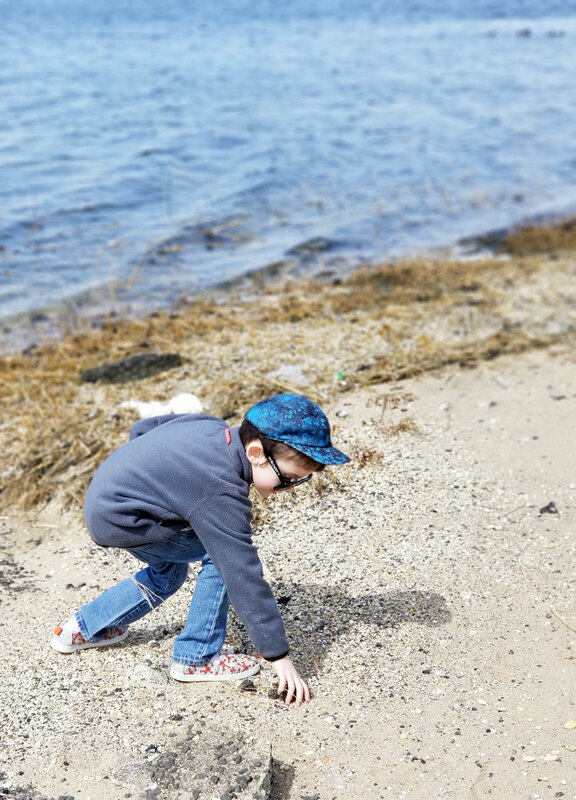 These outdoor activities for Spring are perfect for days that are a little chilly too! 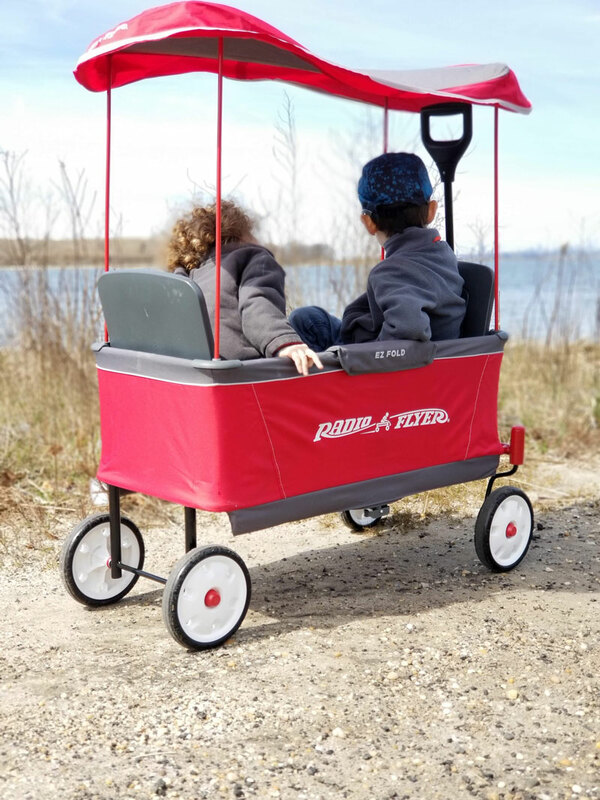 Today, Wednesday March 27, Radio Flyer is celebrating its fourth annual National Little Red Wagon Day and to celebrate that… and the arrival of Spring, of course, we’re taking advantage of our revamped backyard! When we bought our house a few years ago, our yard was a mess of garbage, old outdoor toys and equipment that was too rusted to salvage, and weeds as tall as I am. It took some time to get to it, as we had to tackle our indoor areas first. But finally, this past fall, we redid our yard, and the kids have a place to play outdoors! But since the grass has been strong enough to play on, it’s been winter! 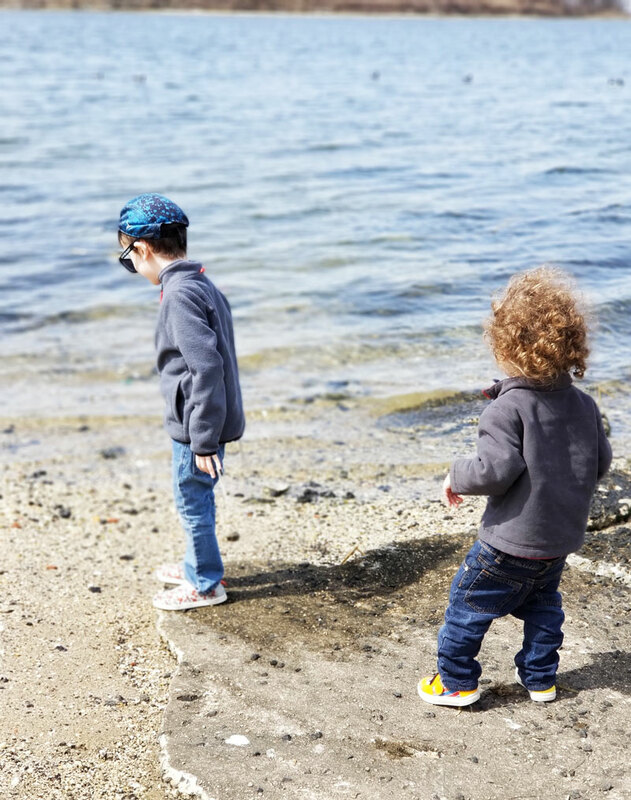 Now that the days are finally warming up the kids are in seventh heaven – they can finally enjoy the warm weather. 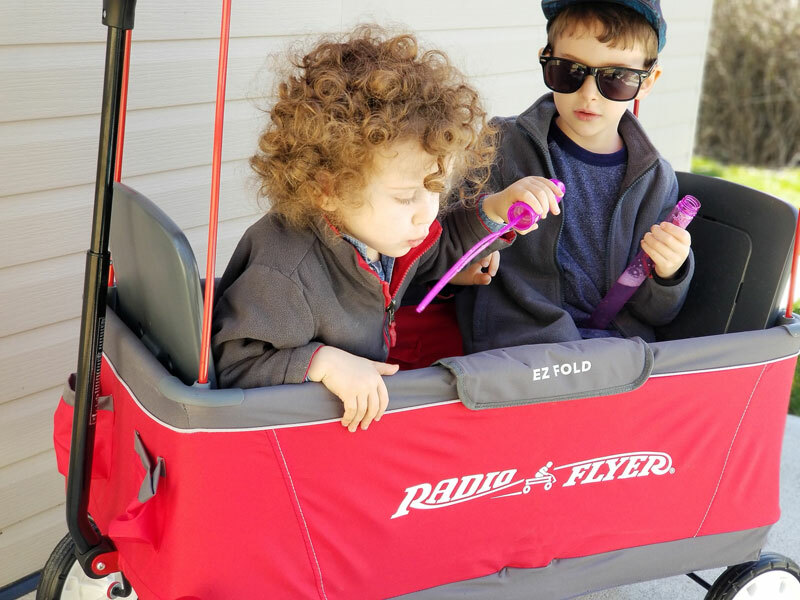 So we took our Radio Flyer folding wagon. 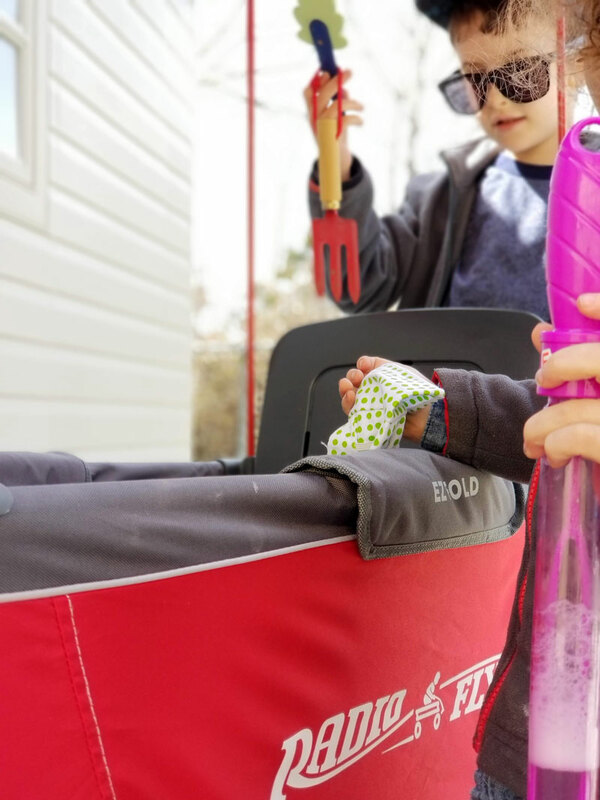 We packed it full of activities that work on chilly Spring days too. And we celebrated with some wholesome outdoor play. 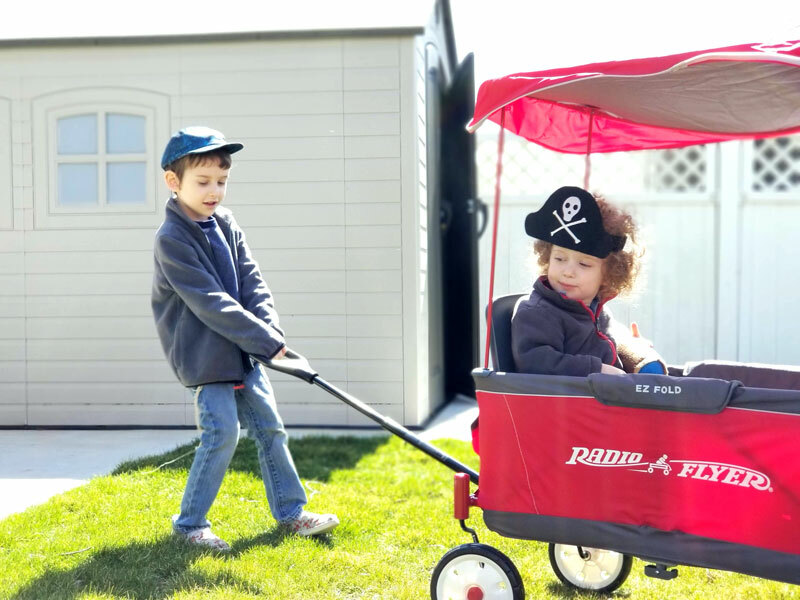 In honor of Little Red Wagon Day, today, March 27, you can take 3o-50% off wagons right here! You can choose from your favorite Town & Country, All Terrain, Folding and Build-A-Wagons for the one that best suits your family. 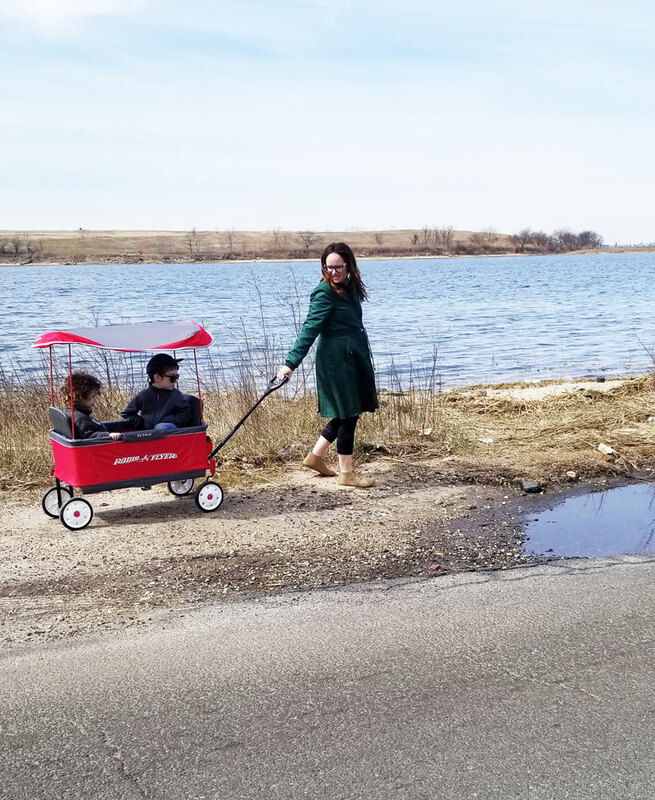 Radio Flyer wagons are the perfect option for outdoor adventures when you have a toddler and a preschooler like me! M is too big for a stroller, and Baby Y is almost three, and prefers not to sit in one. 1. Make chalk self-portraits – grab that sidewalk chalk and decorate a patio! Kids love being creative and the fresh air gives them an extra boost. Add a twist to your chalk play by having them lie down on the patio, outline their bodies, and let them decorate! 2. Learn about bubbles – even Baby Y knows how to do that! You can add to this and teach kids the science behind bubbles. Let them touch the bubbles with both wet hands and dry hands, and see which makes them pop… and which doesn’t. 3. 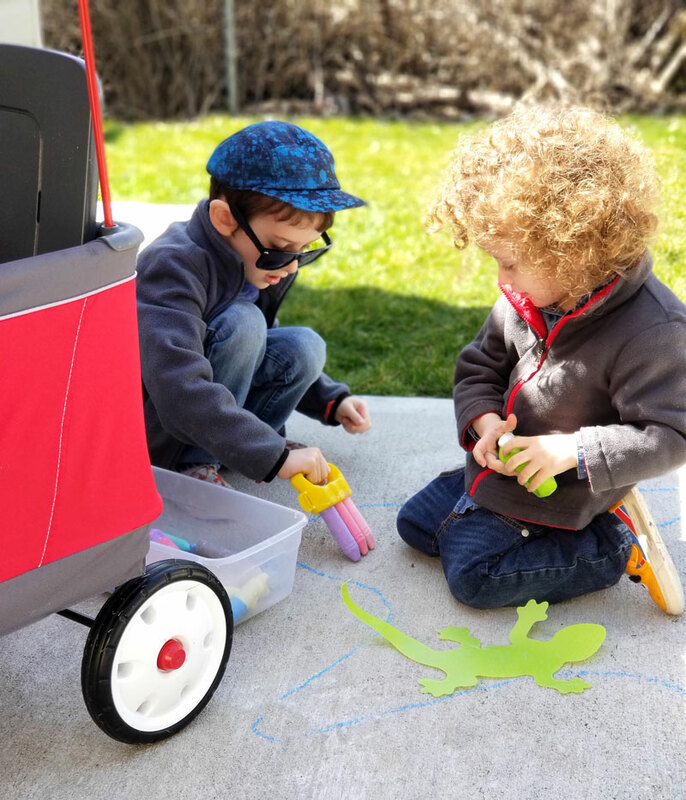 Read books – even when the air has a nip, kids can enjoy the fresh air with a pile of books in their Radio Flyer Little Red Wagon. 4. 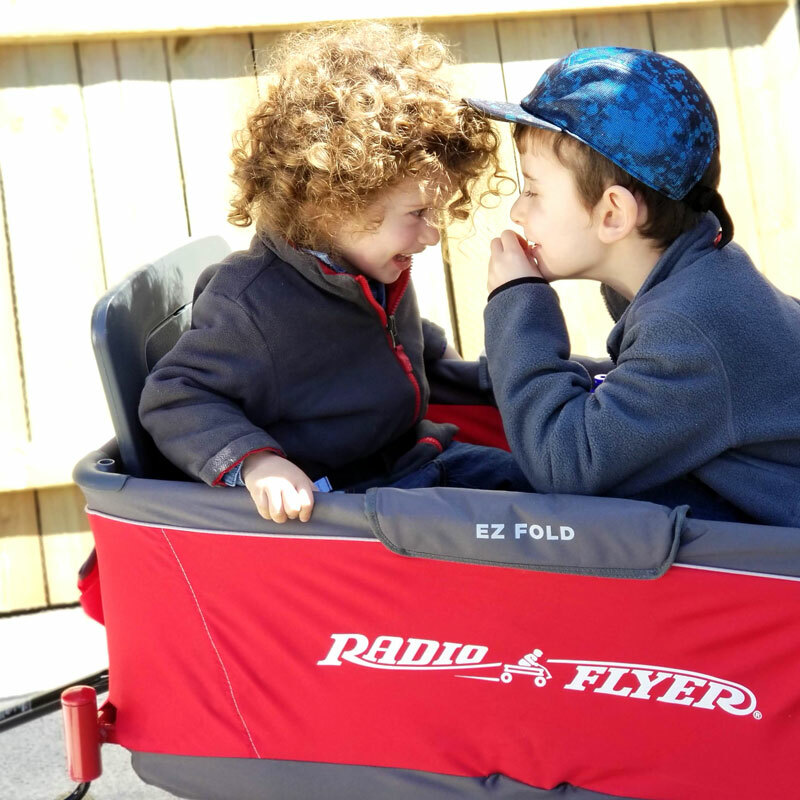 Play Pretend – my boys sat in the wagon for hours pretending it’s a school bus, an airplane, a train, and even a boat! With a mama to pull you around, the possibilities are endless! 6. Art Hunt – There are a few ways to have an outdoor art hunt. You can go for a walk and find nature supplies to use in art. You can walk with a camera and take photos to print and paint later on. Or, bring along paper and crayons, and try making rubbings over nature that you see. Try for leaves, twigs, bark, rocks, sand, sidewalk, the playground… the possibilities are endless! 7. Skip Rocks – In New York City, it’s still generally too cool to actually play with water at this time of year. But it’s not too cold to skip rocks! 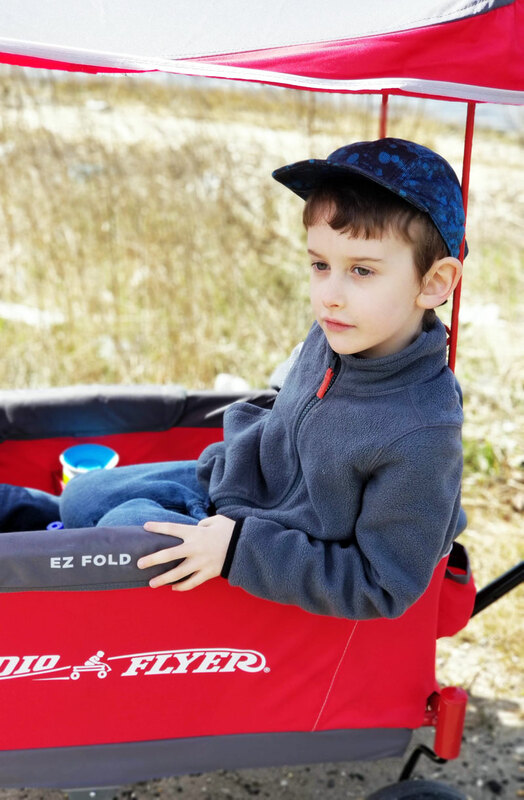 We headed to the Bay in our Radio Flyer E-Z Fold Wagon and learned how to skip those rocks. 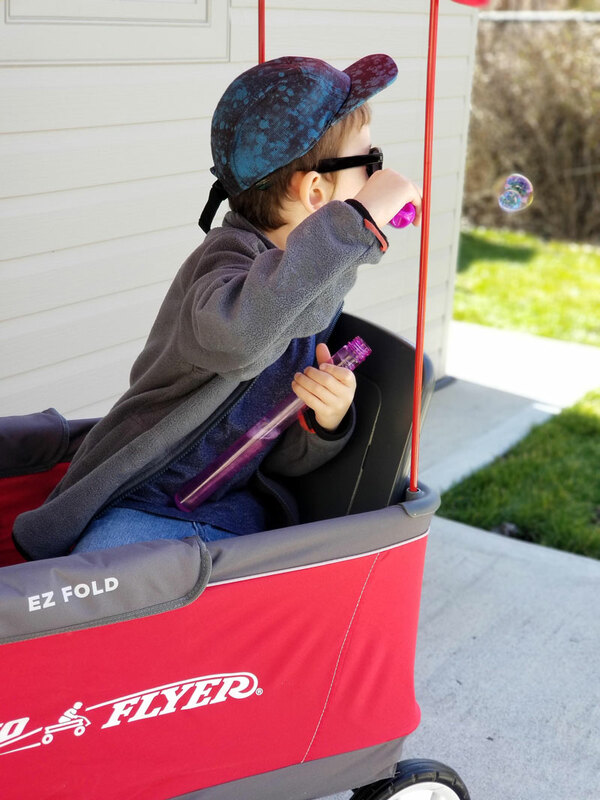 We loved using our wagon for our outdoor activities for Spring… and we look forward to taking it on our Summer trips too! Ready to celebrate National Little Red Wagon Day? Get ready for Spring adventures, and summer fun by getting your own wagon for up to 50% off! 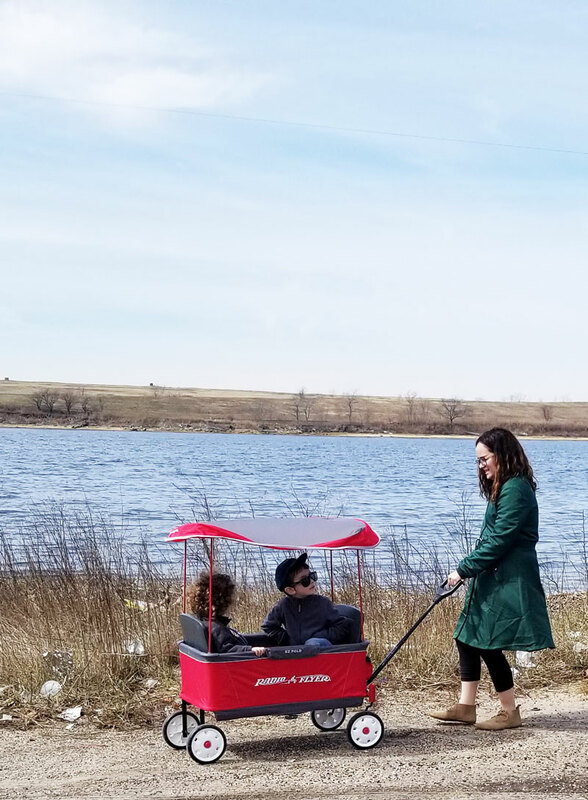 Make memories, create your own adventures, and use your imagination to power your childhood while you do these outdoor activities for Spring in your little red wagon! 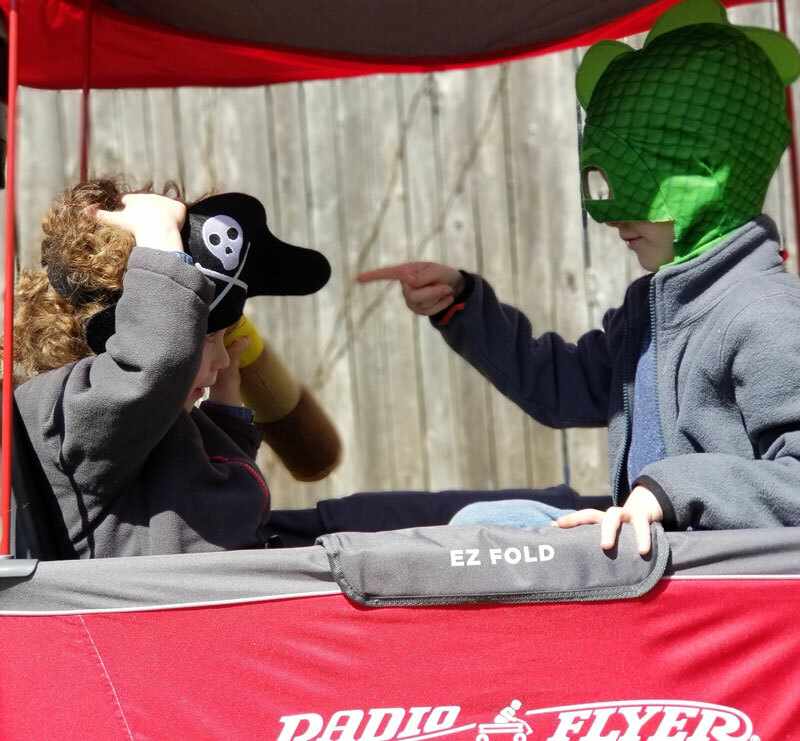 Radio Flyer was started in 1917 by Antonio Pasin, with a dream to “bring joy to every boy and every girl”. They have been bringing joy to my boys, and have become a timeless symbol of childhood imagination, and the world’s leader in wagons, trikes, and other ride-on toys. So get your discount today, and celebrate warmer weather with these outdoor activities for Spring! What are your favorite outdoor activities for spring? 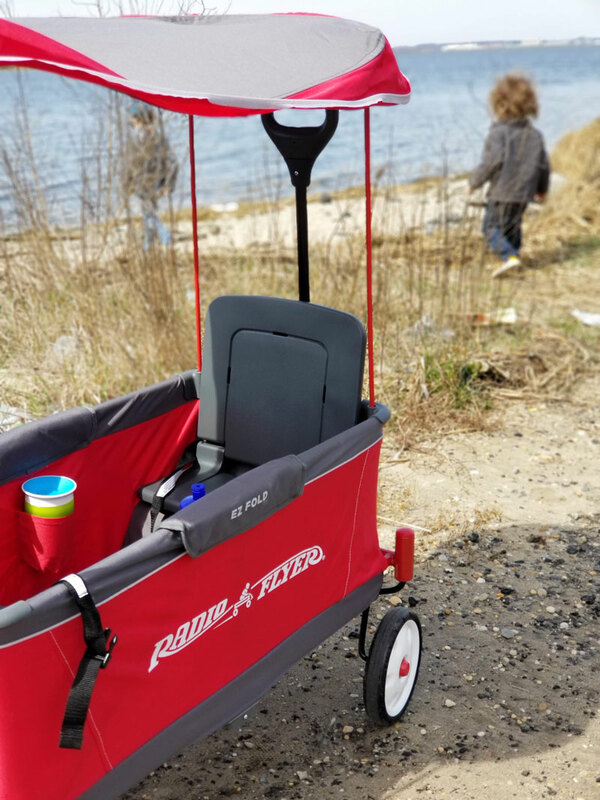 Which adventures do you go on in your little red wagon? Comment below! Entertain the Kids, Spring crafts. Bookmark. Love these ideas! The transitions into seasons is always my favorite. Moving into spring and getting outdoors is so fun. 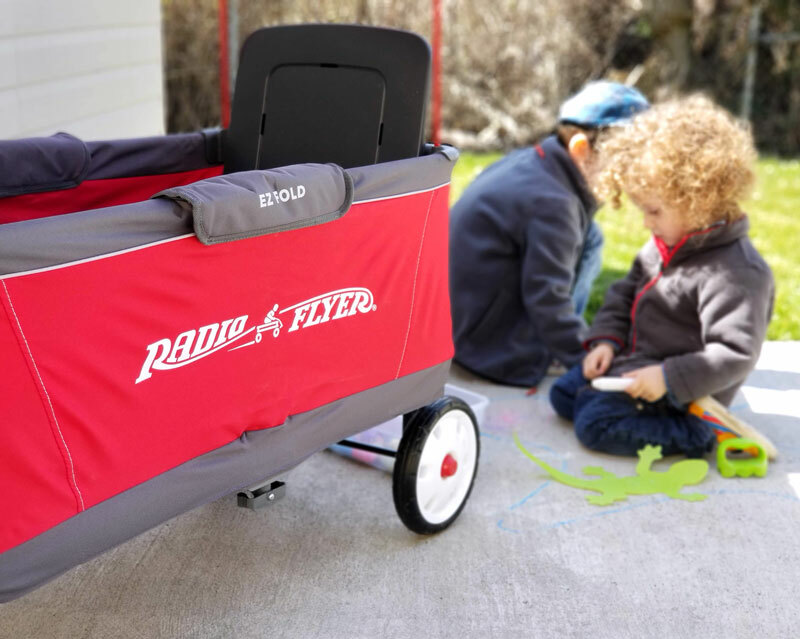 We love our Radio Flyer wagon too. Now that the weather has changed, the kids are already rolling it around for all kinds of imaginative play. 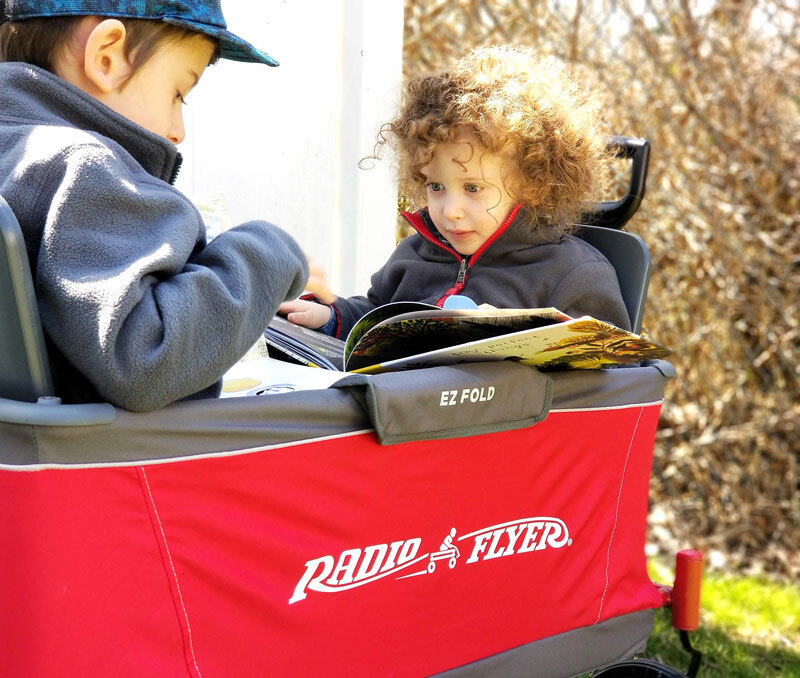 These are great ideas – and I love the thought of bringing books into the Radio Flyer wagon! Now I know what I’m doing this wknd! That one’s right up your alley!